Don Hutson’s careers in speaking, management and sales have brought him many honors. He successfully worked his way through the University of Memphis, graduating with a degree in Sales. After becoming the #1 salesperson in a national training organization, he established his own training firm and shortly thereafter was in demand as a professional speaker. 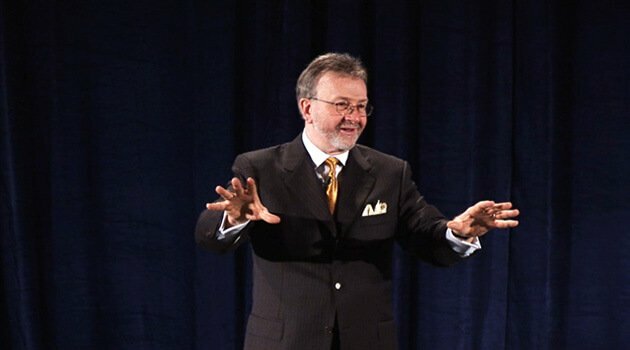 Since then Don has addressed over two-thirds of the Fortune 500 Companies and is featured in over 100 training films. He is Chairman & CEO of U.S. Learning and makes some 85 speaking appearances per year. Perhaps you have seen him on national television where he is regularly featured on both PBS and the TPN. Our speaker is the author of The Sale and The Contented Achiever, and is a member of the prestigious Speakers Roundtable. Don was elected by his peers to the presidency of the National Speakers Association, and he has received its “Cavett Award,” as member of the year. He is also in NSA’s Speakers Hall of Fame.